Robin has been involved with the study and conservation of whales, dolphins and the marine environment for nearly 25 years. 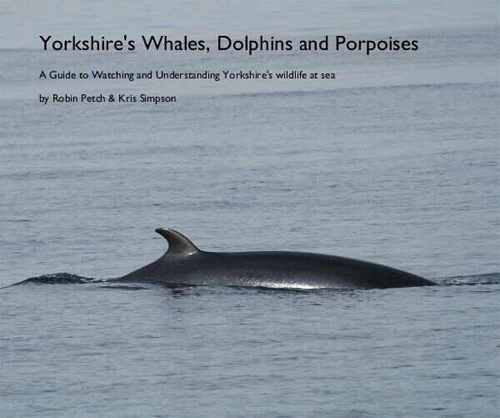 During that time he has studied and recorded whales and dolphins around the world, co-authored two children's books with Dr Horace Dobbs and consulted on his "DIlo" stories before co-writing "Yorkshire's Whales Dolphins and Porpoises." 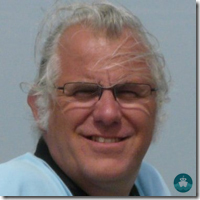 Originally a primary school teacher and then headteacher, he became Education Director for International Dolphin Watch in 1991 and in 1995 established Dolphinicity Surveys. This led to the current Dolphinspotter project and enabled members of the public to become involved in spotting and recording whale and dolphin sightings from land and on board the research yacht Dolphinicity. In 1999 he also became Yorkshire Regional Co-ordinator for national whale and dolphin research charity the Sea Watch Foundation and then in 2009 was asked to become a Trustee. The board elected him Chairman in 2012 and he has now given up his teaching career to focus on these important roles in cetacean and marine conservation and working as a wildlife and whale watching boat skipper and naturalist. Robin's wide knowledge and experience is now being shared with cruise ship passengers in lively and informative lectures with stunning photographs and video. His experience as an educator enables him to adapt his talks to suit audiences of all types and age ranges. On some cruises, Robin's interest in Seals and Seabirds, Pirates and Privateers and Nautical Sayings and Superstitions adds an extra dimension to his talks. Robin and his wife Kris are also well known to many cruise passengers as they regularly undertake deck watches even when on holiday and enjoy involving fellow passengers and helping them make the most of their time at sea. 1. Whales, Dolphins and Porpoises of ... - A guide to the whales, dolphins and porpoises we could see on this cruise. What are we likely to see and where? How will I identify them? Where is the best place on the ship to watch from? 2. What's that Whale? - A lively and fun workshop and quiz to hone those ID skills. 3. Seabirds: They're not all seagulls! - Learn about the many different types of seabirds and how to recognize some of the more common ones. 4. The Natural History of ... - An introductory guide to the most interesting animals, plants and geographical features of the places we will be visiting. 5. Amazing Azores (The Natural History of "Europe's Hawaii") - Why are the Azores the Atlantic's answer to Hawaii? An exploration of their dramatic landscapes, lush vegetation and wonderful wildlife. 6. Amazing Amazon - Discover the greatest river system on our planet and the life that depends upon it. 7. British Whales, Dolphins and Porpoises � Learn about some of the 28 different species found in British waters, where to watch them and how the public can help study and protect them. 8. 100% Pure � The Natural History of New Zealand � An exploration of the dramatic volcanic landscape and many endemic and native species of animals and plants of this fabulous destination. 9. Friendly Wild Dolphins - from Arion and the Dolphin in Ancient Greek times to Funghie in modern day Ireland, some dolphins have chosen to form a close bond with people. Hear these amazing stories of solitary dolphins and their human friends. 10. Fascinating Facts about Dolphins and their World - A fun and informative look at some of the wonders of our ocean world. 11. Fascinating Facts about Animal Adaptations - An entertaining exploration of the amazing ways marine animals have become adapted to their environment or learned to adapt their behaviour. 12. Fascinating Facts about Marine Migrations - Discover which species undertake these incredible journeys and where, when and why they occur. 13. Fascinating Facts about Ocean Predators � Learn about the creatures great and small which have developed specialised methods of hunting their prey. 14. Fascinating Facts about Sharks and Seals � Learn about the many different species of sharks, seals and sealions, their favourite prey and the dangers they face themselves. 15. Iconic Species: Humpback Whale � Discover why the Humpback Whale is such a favourite of the whale watching industry and probably the most photographed and researched of all species. 16. Iconic Species: Orca: �The Whale Called Killer� � Learn about the many different populations around the world, their different hunting strategies and how they became both feared and loved. 17. What has whaling ever done for us? - Avoiding the more obvious unpleasant and controversial aspects of the whaling industry, this interesting talk looks at the amazing, and at one time essential, uses of whale products and tells the incredible stories of some of those who took part. 18. Marine Conservation, Why does it matter and what can we do? - Explore issues around the oceans' importance to human activity and perhaps even survival. 19. Marine Conservation: Key issues for Cetaceans �Consider the key issues affecting whales, dolphins and porpoises and how and why we should resolve them. 20. Remarkable Rainforests - Learn about the ecology of these incredible environments and their importance to us and the planet. 21. Dolphins in Greek Mythology and Art - An illustrated talk revealing stories, poems, artefacts and historical sites which reveal the important place dolphins held in Ancient Greek culture. 22. Wildlife Sightings on this Cruise - A retrospective slideshow of wildlife sightings at sea and ashore featuring stunning photographs and video taken during this cruise and previous visits to the region. 23. Close Encounters of the Dolphin Kind - A personal account of life changing close encounters with whales and dolphins around the world including being pranked by a wild dolphin, mugged by a humpback whale and eyeballed by a young minke whale. 24. Photos and Facts (Wildlife to Watch For) � A look at what can be seen at sea and on land during this cruise, featuring photographs from previous visits to the region and interesting information. 25. "The Whole Nine Yards" (Nautical Sayings and Superstitions) - Discover the nautical origins of many popular sayings and superstitions. 26. "Letting the Cat out of the Bag" (Nautical Sayings and Expressions) - Discover the nautical origins of many everyday phrases and expressions in our language. 27. Nautical Knowledge (What the Captain learned in College) � Discover the secrets of navigation, lights and buoys, shipping and cruise ship operation. 28. Pirates and Privateers - Who were the real Pirates of the Caribbean? What about the Pirates of the Mediterranean? How could you become an "official" pirate? Learn all this and more during this entertaining romp through pirate lore. For longer cruises, some of these talks are easily expanded into two or more lectures. Exclusive introduced film shows (each of 45-60 minutes plus any commentary and discussion) featuring the work of unique and inspirational film-maker Dr Horace Dobbs and his encounters with wild dolphins and the Dolphin Dreamtime relaxation and visualisation experience (min. 45 minutes including discussion). This is a unique opportunity as I now hold sole rights to show and talk about these films. 29. Ride a Wild Dolphin � a ground-breaking film from 1976 showing how Donald, a friendly wild dolphin first seen of the Isle of Man, formed an incredible bond with Dr Horace Dobbs and Maura Mitchell and changed people�s lives. 30. A Closer Encounter (When Two Minds Meet) � a dramatic film showing how Dr Horace Dobbs explores the extraordinary mind of a solitary wild dolphin named Jean Louis in the treacherous waters of the Bay of Lost Souls, Brittany, France. 31. Bewitched by a Dolphin - A moving and beautiful film about the impact of Simo, a solitary Bottlenose Dolphin, on people in the small Pembrokeshire village of Solva. 32. The Dolphin�s Touch � A specially extended version of the highly acclaimed television film in which Dr Horace Dobbs introduces three clinically depressed people to the lone wild dolphin Funghie in Dingle Bay, County Kerry, Eire. 33. Dolphin Dreamtime � a very special experience using a blend of natural sounds (birdsong, whalesong and dolphin calls) and aborigine-inspired music to help listeners visualise a journey into the Dolphin Dreamtime and relaxation. 34. Horace Dobbs - the extraordinary life of The Dolphin Man - A fascinating and moving account of how a research scientist's life was changed by a close encounter with a solitary wild dolphin and how he became a pioneering film-maker, author and inspirational figure around the world. 35. Where to Watch! - A guide to some of the best whale and dolphin watching locations around the world. 36. �Thar She Blows!� The British Whalers � It wasn�t just America that had a successful whaling industry in the 18th and 19th Century. Learn about the development of whaling in Britain from its earliest days to its end in the 20th Century and why it was so important at the time. 37. The Amazing Scoresbys - The William Scoresbys, two highly successful Yorkshire whalers who should be better known for their Arctic explorations, inventions and William Junior's contributions to science and social reform. Learn more about these amazing men and their great achievements. 39. Iconic Species: Bottlenose Dolphin � Discover why this is the best known of all dolphin species and learn what the latest research tells us about intelligence, hunting techniques and social activity. 40. Iconic Species: Sperm Whale � Be amazed by the biology of this huge deep-divng specialist and discover why it became the focus of the whaling industry. Very successful cruises, with high evaluations, over the past 3+ years with Voyages of Discovery, Saga, Fred Olsen, P&O, Cunard and Viking. More cruises already booked into 2018, with Fred and Viking and Robin is a Cunard/P&O "Preferred Speaker"
My wife and I conduct deck watches, involving passengers, throughout most sea days and when entering and leaving port. These are very popular and also help us to collect sightings data to support the work of Sea Watch Foundation and other cetacean marine conservation charities. I also keep an ongoing written and photographic record, shared with passengers, during and after the cruise.